Below is a brief description of the types of coaching sessions offered by CRCA coaches. Please check the Coaching Schedule to see when a particular session is offered. Learn and practice bike handling skills to keep you safe in a race and satisfy the Racing Skills coaching requirement for New Members. Learn techniques to maximize your sprint. Focus is on drills, strategies and timing for sprinting. Features techniques for attacking and breaking away. You will practice “race simulation” attacks and chases. We will work on criterium tactics and cornering skills. Sharpen your skills for Time Trials and learn about Time Trial strategy and pacing. TT bikes and aero bars are permitted during this coaching session. Great for pacing for breakaways, too! Practice techniques to help you conquer the climbs and develop explosive power for uphill sprinting. Learn skills to build sustained power for longer climbs, and drills to build speed for sprinting and attacking. Review strategies for pacing on hills, and proper technique to avoid fatigue. 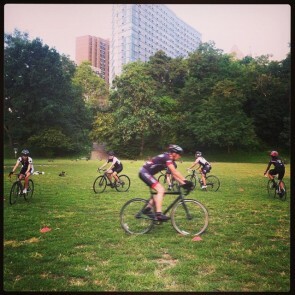 Learn the basic skills that you will need to compete in your first cyclocross race.